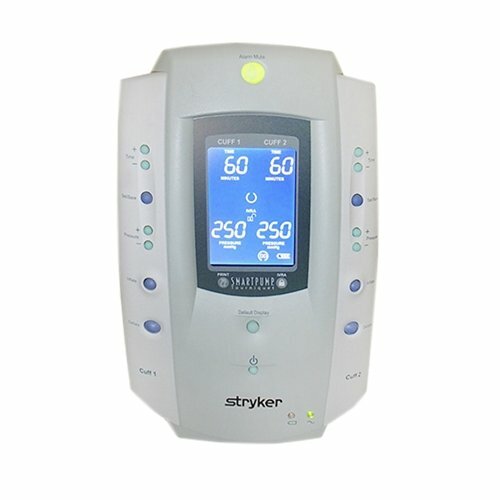 The Stryker SmartPump is a dual channel tourniquet pump. 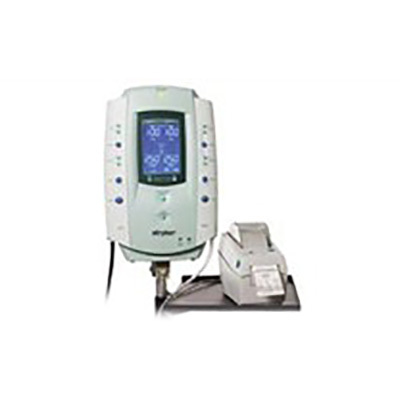 It is designed for use by qualified medical personnel to temporarily impede blood flow in a patient’s extremity in order to create a blood-free surgical zone. Its dual channel design supports single cuff, bilateral and Bier Block procedures, and allows for simultaneous surgery of both an upper and lower limb. Each cuff’s unique pressure and time settings are displayed, controlled, and monitored independently. 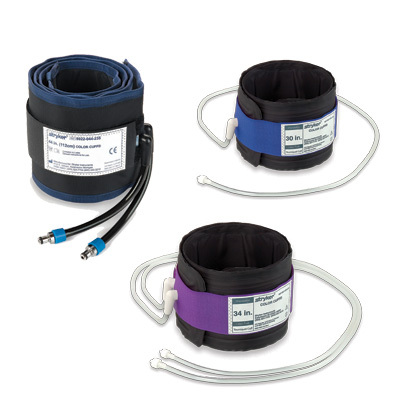 The SmartPump uses single port cuffs. The procedure timer and cuff target pressure may be set using simple, intuitive steps. Control buttons are clearly identified. Inflation is initiated by pressing the Inflate button. Deflation is initiated by pressing and holding the Deflate button for 1.5 seconds. 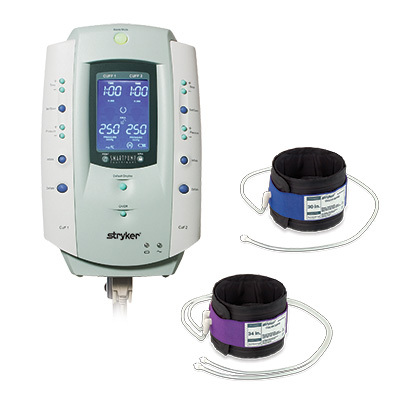 The large, bright, backlit LCD display shows total elapsed cuff inflation time and cuff pressure (mmHg). The displayed time format is user selectable: minutes or hours and minutes.